We weren’t set up until close to 10 am because of prior obligations but we ended up having our tip ups soaking until about 6 pm. 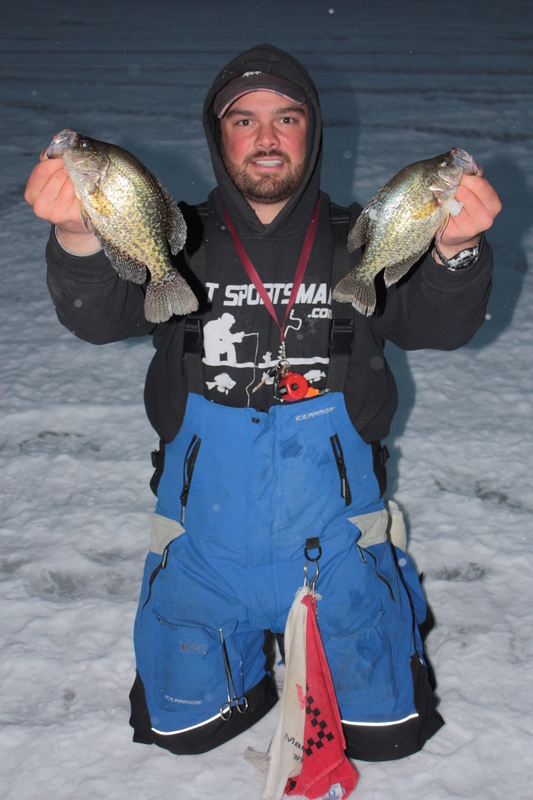 A long day on the ice produced only limited numbers of the fish that we were targeting. We had 15 tip ups set up between three of us and we jigged pretty much all the day. 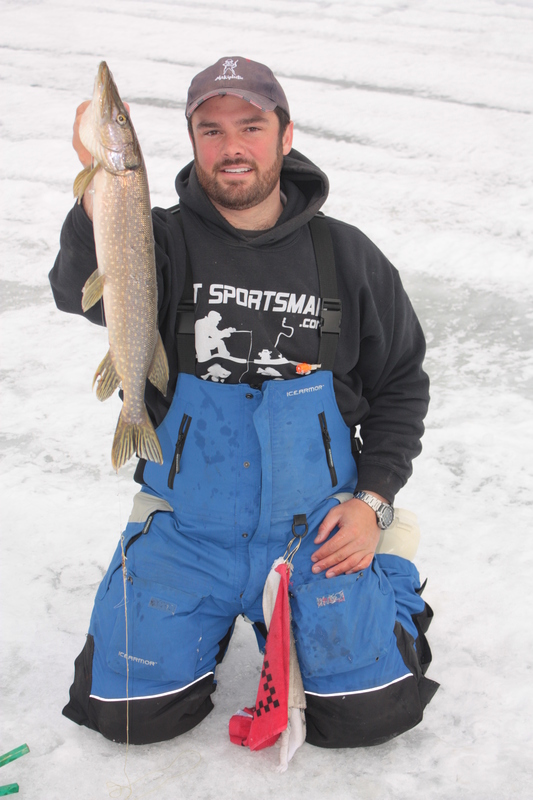 We were running medium shiners in hopes that we would catch a walleye but instead mainly caught pike and perch. The crappie bite throughout the day was spotty. The fish were there on the edge of a deep water flat where it starts to shelf up into shallower water and weeds. They were fairly concentrated but not overly aggressive which is typical for this spot. Most days it is still easy enough to catch smaller fish but not today. For the fish that we did catch, we had to work hard for them. In general, natural colors seemed to work better and plastics were the key. As far as the tip up fishing went, the bite was slow as well. For the number of lines we had in the water we didn’t get that many flags. We has some wind flags, a bunch of stolen baits, some run and drops, two fish broke off, and only a few fish that were iced. I think the total number of fish that were caught on tip ups was five. 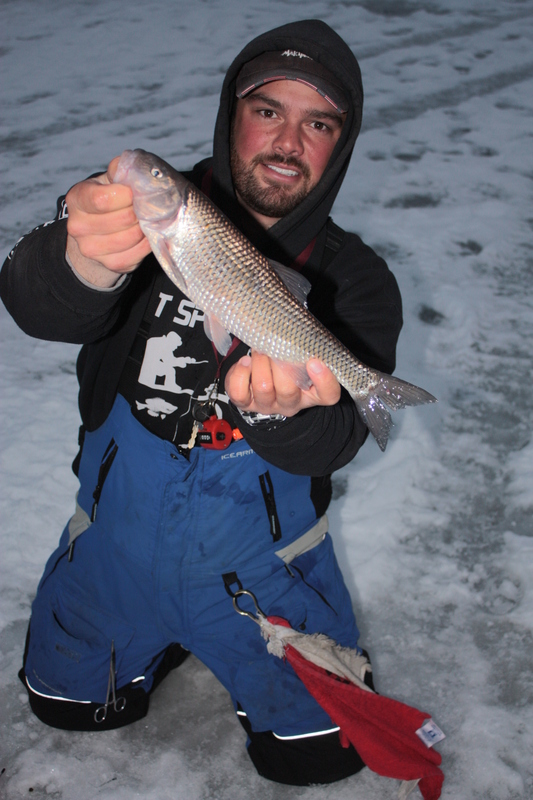 Although the bite was slow, we iced some fish and learned more information about the area and the fish that we love to chase!